Color theory: Purple is opposite yellow on the color wheel, so pale purple concealer is perfect for concealing anything yellow or cooling down makeup that’s too warm-toned. Sallowness and hyper pigmented spots like acne scars can be effectively evened out with the slightest cast of lavender over them before adding your regular concealer over-top. Color theory: Yellow is opposite to purple on the color wheel, which means that dark, violet-toned under eye circles don’t stand a chance. Simply apply under your eyes and blend well with a sponge or concealer brush, then cover with powder in the same shade as your complexion. You’ll end up with a subtly brightened under-eye area; for a more dramatically contoured look, apply powder a shade lighter than your complexion over the yellow concealer and watch your concealer turn into chic highlights. 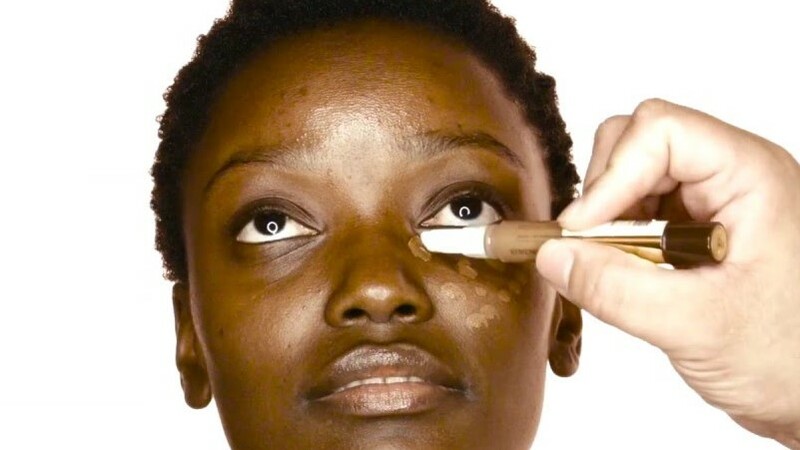 If you have a darker or olive-toned complexion, you’ve probably noticed that your under-eye circles aren’t purple or blue; they have a greenish tint, and yellow concealer just isn’t cutting it for you. That’s where pink or salmon concealer comes in—red and orange are complementary to green and blue on the color wheel, so these shades are perfect for neutralizing your dark circles. 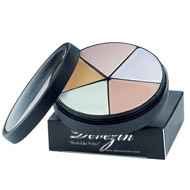 To use this color, apply and blend the concealer over-top of your under-eye circles, then set with powder that matches your complexion. 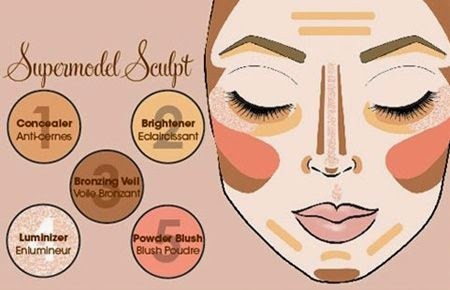 You can also use pale pink concealer as a gorgeous highlighter—add a little bit to the inner corner of your eyes, along your cheekbones, under the arch of your eyebrow and down the bridge of your nose. Blend well!!! Its always nice to perk-up your complexion!